LAS VEGAS — Las Vegas never needs an excuse to party, and as an entertainment oasis a short trip from Mexico, the city will roll out the red, white and green carpet starting Friday to celebrate Mexican Independence Day. 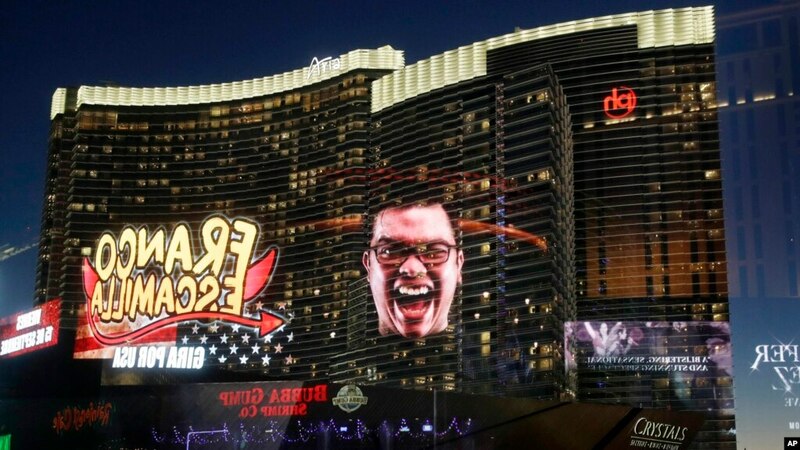 A premier boxing match, a bell-ringing ceremony and more than a dozen performances by Latin megastars, including Ricky Martin and Alejandro Fernandez, were expected to attract tens of thousands of visitors, making the weekend once again one of Sin City’s busiest. The holiday, often mistaken in the U.S. for Cinco de Mayo, over time has become a star-studded celebration of Hispanic culture. “It has developed over two decades or more to become a staple. Las Vegas has the ‘ambiente’ — the fun, the excitement — all year long, and then you bring in Alejandro Fernandez, Pepe Aguilar and the ones who have the residencies like Ricky Martin and Jennifer Lopez,” said Rafael Villanueva, senior director of international business sales for the Las Vegas Convention and Visitors Authority. The celebration is so much wider it includes those superstars who aren’t Mexican, including Martin and Lopez, who both have Puerto Rican roots. “If you talk to many people in Mexico, they’ll say if we are not going to the Ciudad de Mexico, we are coming to Las Vegas because of all the fun and all the entertainment,” he said. The Sept. 16 holiday marks Father Miguel Hidalgo y Costilla’s call to arms that sparked the Mexican uprising against Spanish rulers in 1810. The rebel priest was killed the next year, but his words, known as the “Cry of Dolores” or “Grito de Dolores,” eventually led to independence from Spain in 1821. What started as private entertainment shows for high rollers from Latin America has evolved into one of the city’s busiest weekends, with companies booking performers a year in advance and airlines adding direct flights from Mexico. The concert lineup aims to appeal to a range of musical tastes and generations and includes Marc Anthony, Ricardo Arjona, Emmanuel, Enrique Iglesias, Carlos Santana, Mana, Marco Antonio Solis, Jesse and Joy, Gloria Trevi and Alejandra Guzman. Gennady Golovkin poses on stage during the fighter arrivals in Las Vegas, Sept. 12, 2017. Mexico’s popular Saul “Canelo” Alvarez squares off Saturday against Gennady Golovkin in a long-anticipated middleweight bout as part of the Mexico Independence Day celebration. The city’s signature offering is a boxing match. So much so, Floyd Mayweather Jr., before he retired, made Mexican Independence Day his own holiday, fighting multiple times over the years. Promoters have traditionally offered fights featuring Mexican boxers on the El Grito and Cinco de Mayo weekends. Mexico’s popular Saul “Canelo” Alvarez squares off Saturday against Gennady Golovkin in a long-anticipated middleweight bout at the sold-out T-Mobile Arena. For the past three years, the tourist bureau’s occupancy rate records show hotels reached above 96 percent capacity during the three-day period associated with the holiday. In 2016, 98.4 percent of the city’s 149,000 hotel and motel rooms were booked, making it the year’s fourth busiest weekend. On Friday, San Diego resident Esthela Pedrin will see Fernandez’ yearly Mexican Independence Day concert in Las Vegas for the tenth time. With so many options to choose from, she said she’s having a difficult time picking a Saturday concert to attend. The festivities begin Friday night with a celebratory ringing of a bell by Mexican Consul Alejandro Madrigal Becerra at The Forum Shops at Caesars Palace. Hidalgo, the rebel priest, rang a bell when he gave his famous speech, and Mexico’s president does it in Mexico City every year.